United States Coast Guard plane on a routine survey mission for icebergs notices an abnormal iceberg with a ship imbedded. They mark the iceberg with a red dye. NUMA sends Dirk Pitt and Dr.Hunnewell to survey. 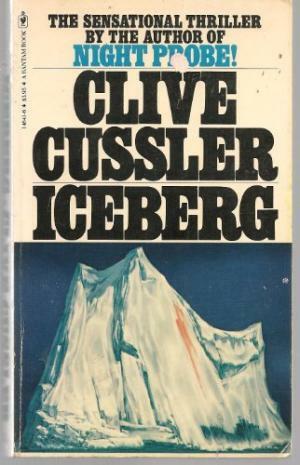 They find out that the ship inside the iceberg is the lost ship, Lax owned by Fyrie. Admiral Sandecker reveals that Kristjan Fyrie's scientist have successfully designed and constructed a nuclear undersea probe that could identify fifteen to twenty different mineral element from sea bed. And he promised to give the probe to US, but he and his ship was lost a year ago. A rare element called Celtinium 279 is used in the probe to scan the sea bed, as the element is unstable it caused fire and the whole ship was incinerated, the heat caused the ship to be imbedded in the iceberg. 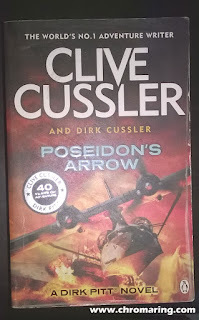 On way to Reykjavik, a black jet shoots NUMA's helicopter, both Dr.Hunnewell and Dirk Pitt was badly injured, but the black jet is shot and drowned. When they crash land Dr.Hunnewell on his last breath utters God save thee.. (Rime of the Ancient Mariner) Pitt was treated by one kind Dr.Jonsson, same time two policemen arrive to take custody. Pitt understands they are bogus with help from the doctor he escapes from them. Pitt was introduced to Kirsti Fyrie a twin of Kristjan who had now took control of her brothers company. In the party Pitt was also introduced to Kirsti's boyfriend and the villain of the story Oskar Rondheim, Pitt puts a gayish act. And ask permission from Kirsti to take her boat for sketching the Iceland scenery. Pitt's intention is to find out the sunken black jet and the rightful owner. Pitt, Sandecker and his secretary Tidi leaves Kirsti's yacht and selects one old fishing boat of Oskar for his job. Pitt finds the sunken black jet, to his astonishment the serial numbers are erased but he finds one mechanic's marking. When Pitt enters the boat they were attacked by Oskar's men, calculated attack by Pitt saves their day. Pitt takes a taxi trip to nearest airfield and finds out the mechanic who had repaired the black jet. From his work sheet he gets the serial number. His driver Lillie is a NIA agent after a small confrontation they share their progress. In a party hosted by Oskar, F.James Kelly of the US, Sir Eric Marks of Great Britain and many billionaires attend. On gun point Pitt gets the explanation of Hermit Limited devious plan, by starting with an impoverished country and gaining control of its monetary resources and discreetly eliminate its key leaders and finally buy out. To distract the world they have planned to kidnap some of the billionaires and fake their death as air crash and also assassinate the Presidents of Dominican Republic Pablo Castille and Juan De Croix of French Guiana. All of them in the party are sedated and Pitt is taken to a fight with Oskar. Pitt puts up his act with weak attacks and Oskar punishes him. Pitt wakes up to find all of the people been badly injured and thrown near air crashed debris near a ravine. Oskar and Kelly have planned to make the killing as an accident. Fortunately Pitt is the only one who is fit enough to walk. With courage and determination the badly battered Pitt takes the arduous journey to civilization. Did Pitt saved all the billionaires and the two Presidents? Did Pitt take revenge on Oskar? all are revealed in this thrilling and page turner novel. Like all Dirk Pitt adventures I liked the way Pitt entering the iceberg, the escape of Pitt with fractured rib and bloated eyes from the ravine and his determination to help save the injured and trying his best to be awake and Pitt using the tri motor are worth mentioning. Below are some quotes I liked in the novel. It's not possible, Rondheim gasped. Finally Kippmann broke the silence. A little rough on him, weren't you? He's Oskar Rondheim, Pitt said vaguely. I seldom forget a face, Pitt said, Especially when it belongs to a man who kicked the hell out of me. To Tidi: I beg your pardon, lady, Pitt said coldly, Open your eyes! Take a good look around you. These holes in the woodwork weren't caused by woodpeckers. To quote from appropriate clichés from every western movie ever made they drew first, or we had no choice, marshal, it was them or us. You have got the script all wrong, dear heart. Were the good guys. It was their intention to cold-bloodedly murder us. Thanks for the comment Roseann.